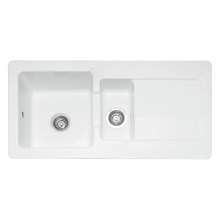 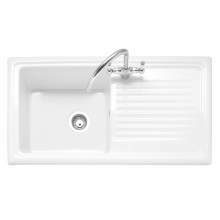 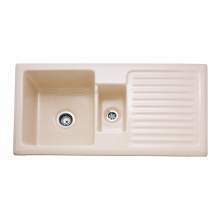 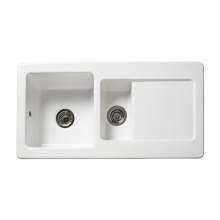 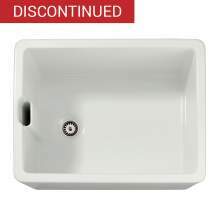 Ceramic kitchen sinks are by far the most robust and easily maintained sink for the kitchen area, but a certain amount of care is required not to chip or crack the ceramic sink when filling them with heavy pots and pans, or indeed breaking the crockery. 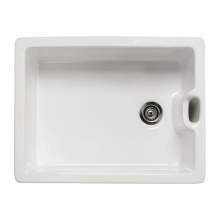 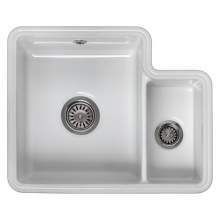 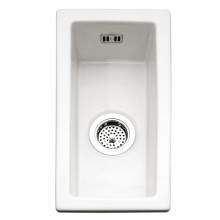 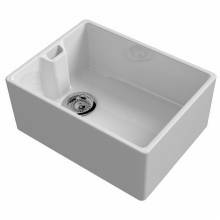 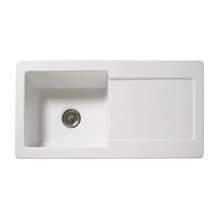 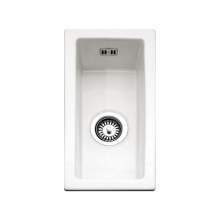 For most people this is not a problem as ceramic sinks are defiantly made to last. 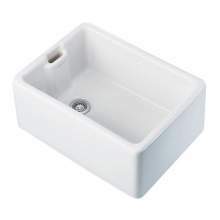 Due to the nature of the product, all Ceramic items can in size vary by +/- 2%. 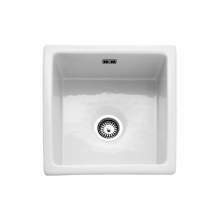 We therefore can only give a guide to the overall size not exact measurements. 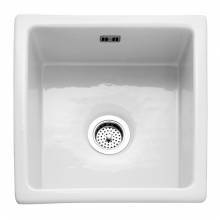 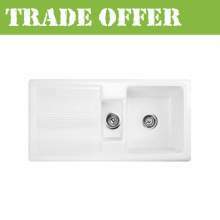 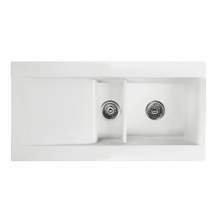 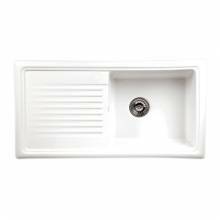 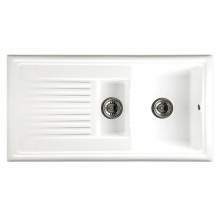 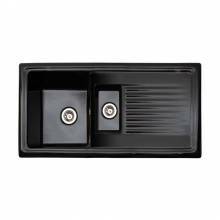 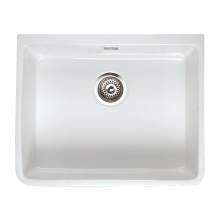 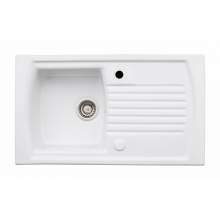 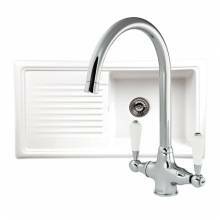 Our ceramic kitchen sink fitting guide aims to give you an easier alternative way to install an undermount ceramic sink. 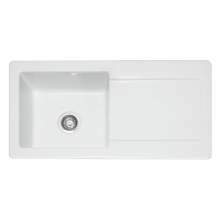 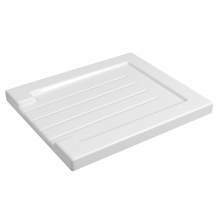 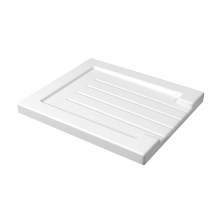 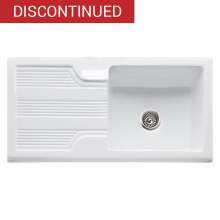 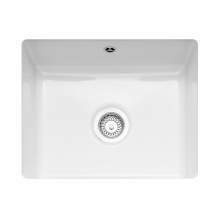 We also have a range of accessories such as chopping boards and base grids which are designed to protect the base of the sink from scratches and marks, commonly caused by loose cutlery, pots and pans. 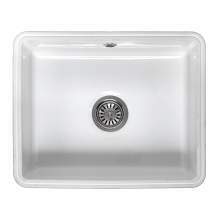 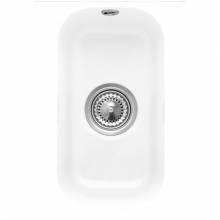 The protective base will also act as a replacement for your washing up bowl which due to the type of hard plastic used, can damage/wear the surface glaze over time. 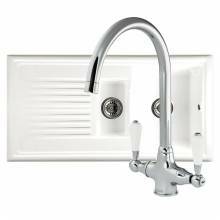 If you have any additional technical questions about any of our ceramic kitchens sinks, please call our technical team on 01759 307262.